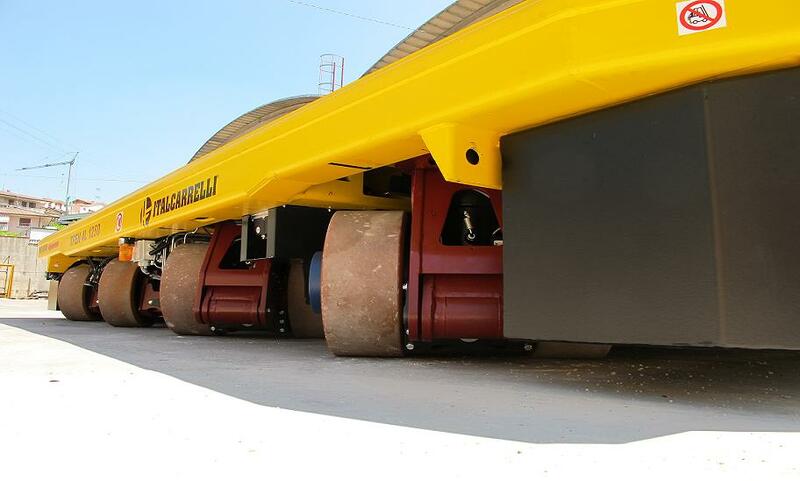 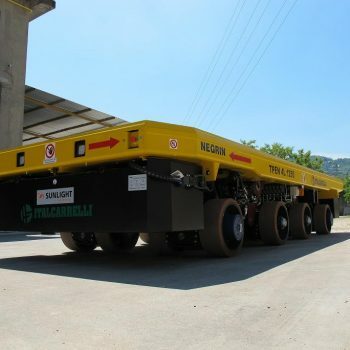 The multidriectional platforms are transport machines with load capacities ranging from 10 to 500 tons and more. 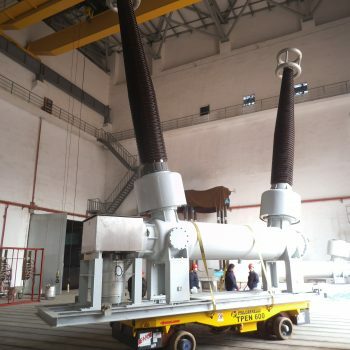 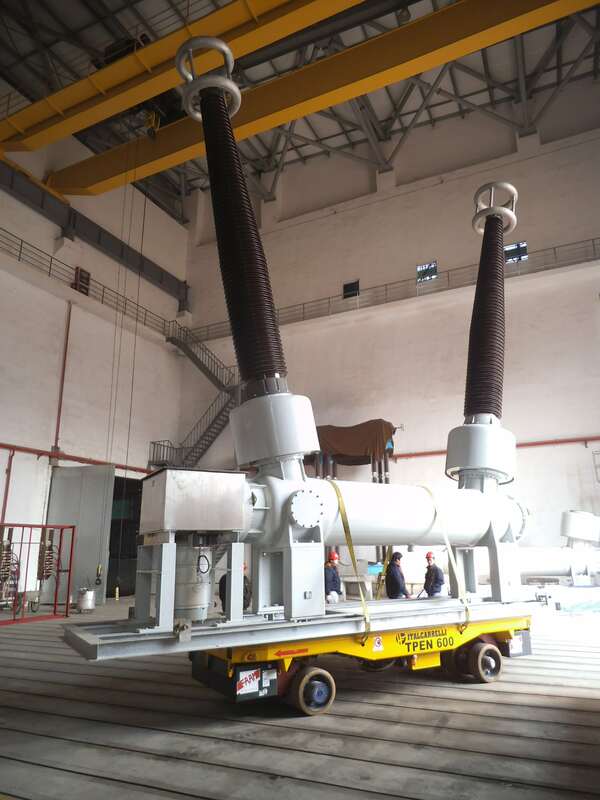 These machines are used in many industrial fields such as metallurgy, heavy carpentry, the marine and aviation industry, special constructions, electric transformers, composite materials, etc. 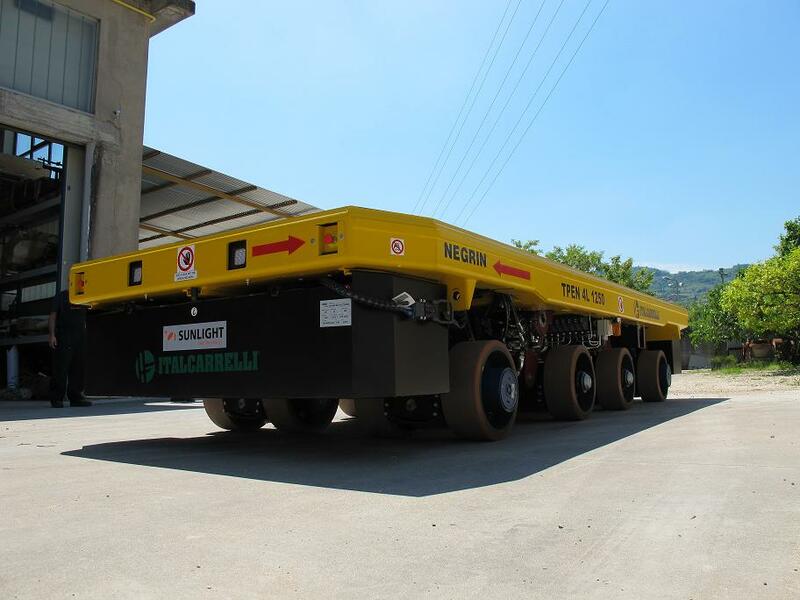 The multidirectional platforms are equipped with a special steering system that allows them to move in all directions. 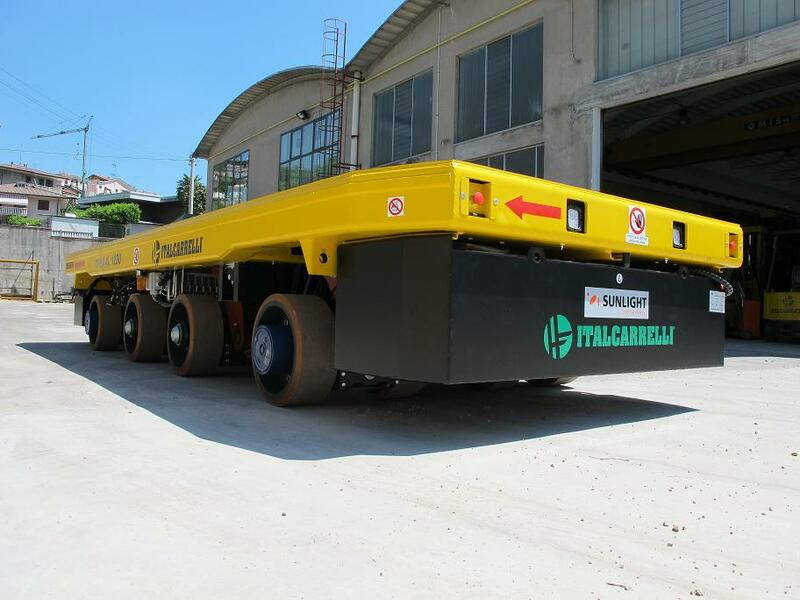 The innovative multidirectional driving system developed by Italcarrelli enables an excellent control of direction, extremely precise movements and a surprising stability of the load under any circumstances. 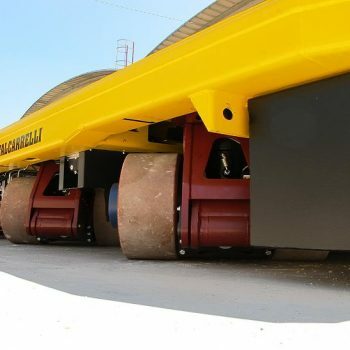 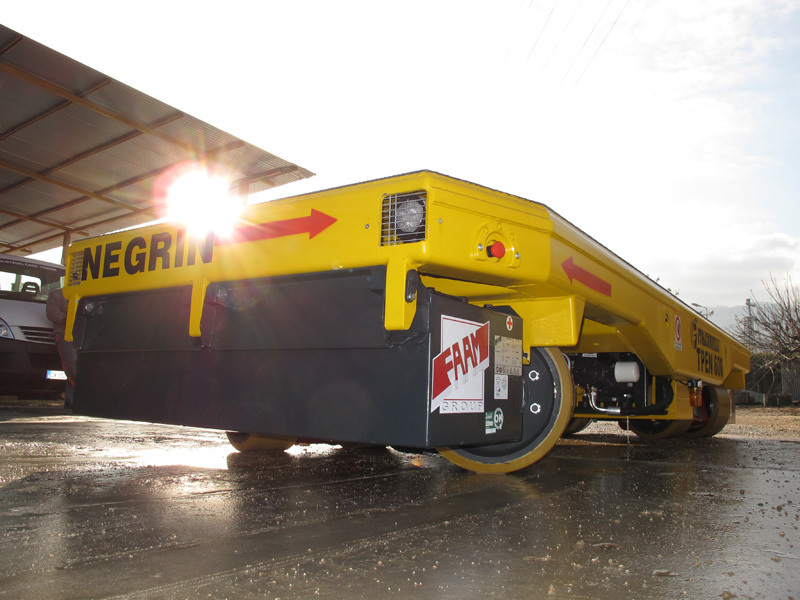 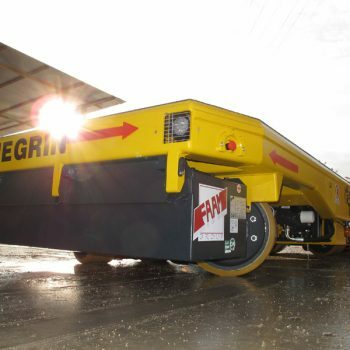 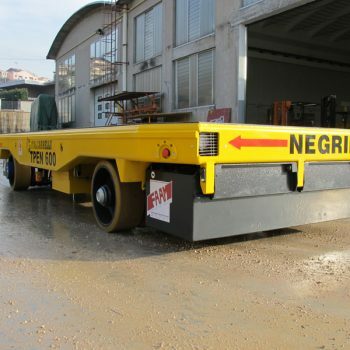 These machines are particularly suitable for applications in which it is necessary to carry out the transportation of special materials and in particularly narrow spaces in which the operator must constantly monitor the movements of the vehicle from different angles. 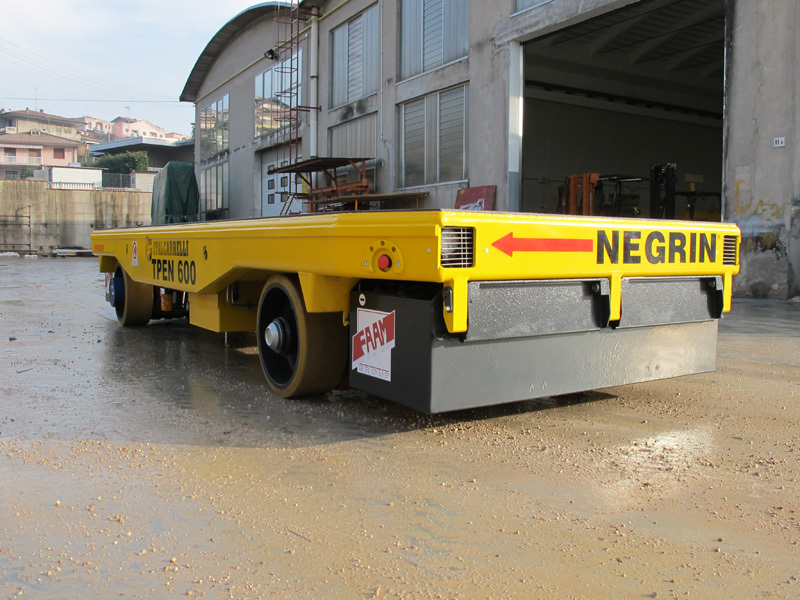 operator on board and radio-controlled self-propelled platforms. 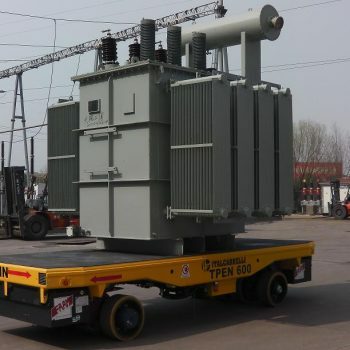 The size of the platform can be customized according to the size and features of the material to be transported. 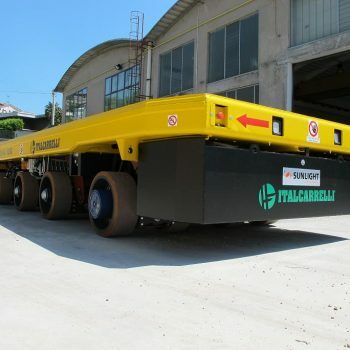 They can be equipped with lifting system if the material to be transported is positioned on suitable bases or trestles (upon request we can provide the design of bases and trestles). 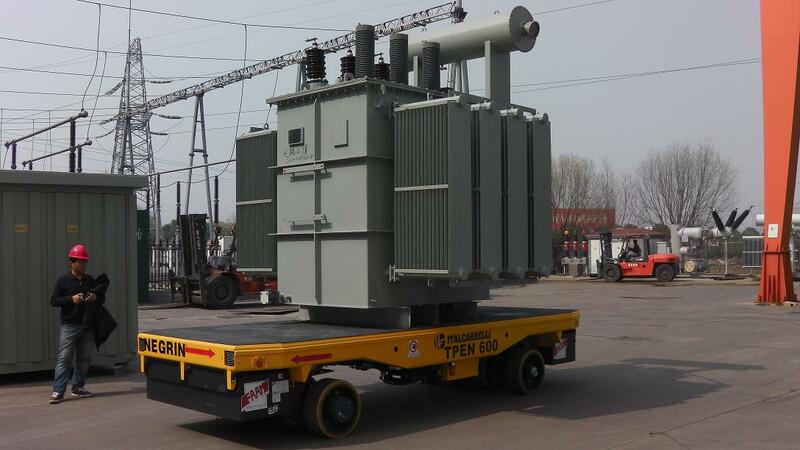 The platforms are battery-powered or equipped with diesel or gas engines.